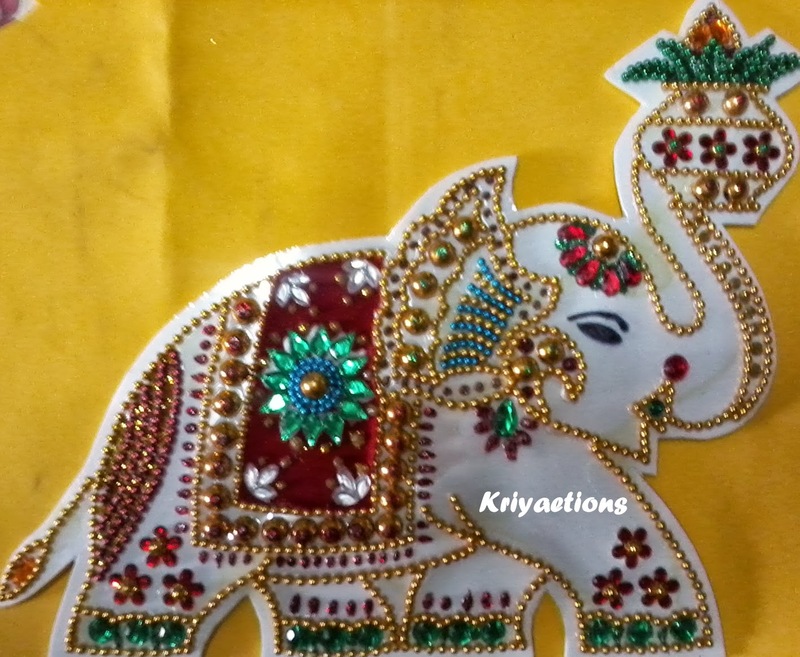 Each elephant motif is 19 cm x 22 cm. 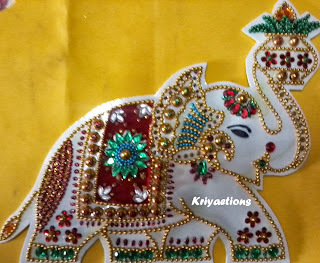 Materials used are OHP sheet, foam sheet, felt cloth, kundan stones, gold chains, glitters, etc. These elephants can be used as a wall decor. They make good reusable rangolis to add decor to your festival. They are also used as part of a ritual in south indian weddings symbolizing white for salt and yellow for dhal (called the pappu enuga and uppu enuga). Also, a good welcome sign too. 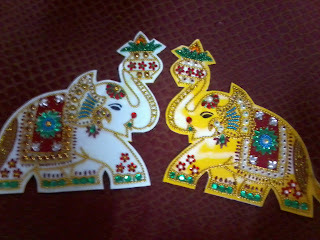 One of my friend's colleagues had placed a customized order of these 2 elephants for her niece's wedding and loved them. She was so pleased with the outcome. Elephants in general attract me as a sign of prosperity and the magnificence of it make me look at it with awe anytime I cross an elephant on the roads here in Kerala or anywhere en route. I just would love watching them. Maybe, this fondness brought a good outcome in doing this motif. 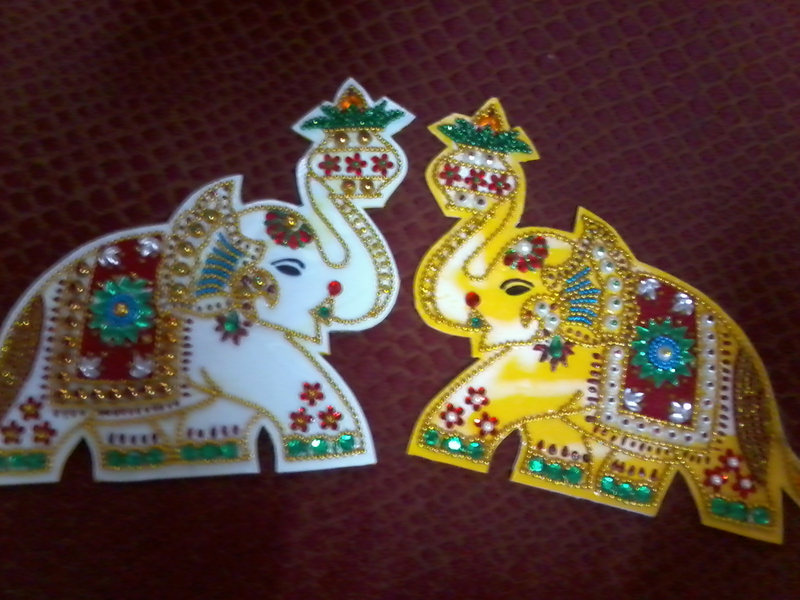 chancea illai vaishnavi.. each one excels the other.. mind blowing creations..!!!! !